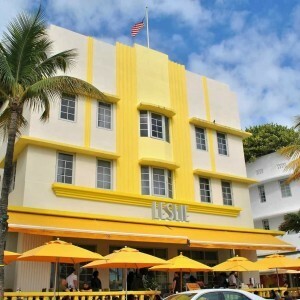 The Leslie Hotel is an Iconic Hotel located on Ocean Drive. This Art Deco Hotel is what people think of when they think of Central South Beach. While this hotel only has 35 rooms, the service is excellent, making it one of our Four Star Hotels. Beach access is a 5 minute walk across the street. There is an onsite Rooftop Pool and Sundeck although it can feel crowded at busy times of the year. The biggest selling point for this hotel is it’s location, right in the middle of the Miami Beach Nightlife and Restaurants. The downside is the rooms here can be really noisy at night and well into the night. This hotel is not pet friendly and is not a family friendly hotel. 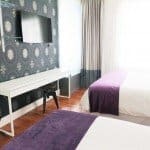 This hotel is best suited for guests who want to be in the middle of the South Beach nightlife, and don’t mind having to cross the street to access Miami Beach. Hotels similar to this would be Hotel Victor, Breakwater Hotel, or The Clevelander. Resort Fee – This hotel has a daily resort fee. Valet Parking – This hotel offers Valet Parking for $37 per day. Free Wi-Fi – This hotel offers free Wi-Fi. Business Center – This hotel offers a free Business Center. Room Service – This hotel offers room service. Fitness Center – This hotel has a free Fitness Center on site. Concierge Service – This hotel has a Concierge Service on site. Beach Access – This hotel is across the street from Miami Beach. Pool – This hotel has a pool onsite. Rooftop Pool – This hotel has a Rooftop Pool. Rooftop Sundeck – This hotel has a Rooftop Sundeck. Art Deco – This is considered an Art Deco Hotel. Four Star Hotel – This is considered a Four Star Hotel. A taxi from Miami International Airport to the Leslie Hotel should be $65. 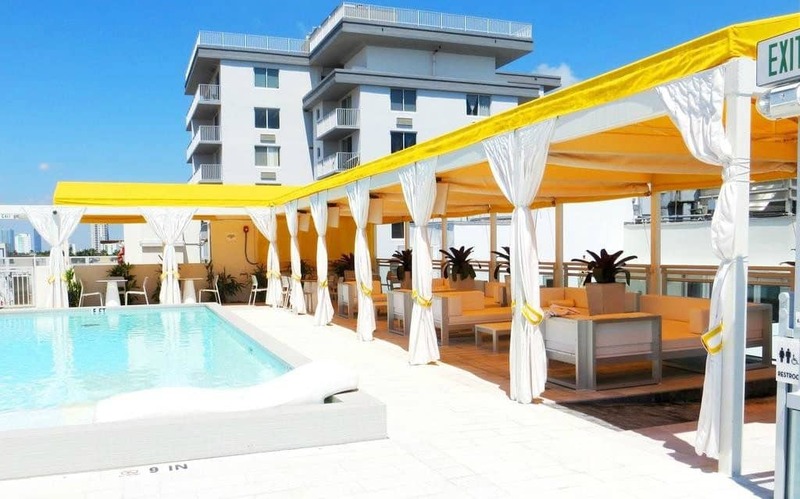 This hotel is less than 10 minutes walking distance from Central South Beach no Taxi is needed.